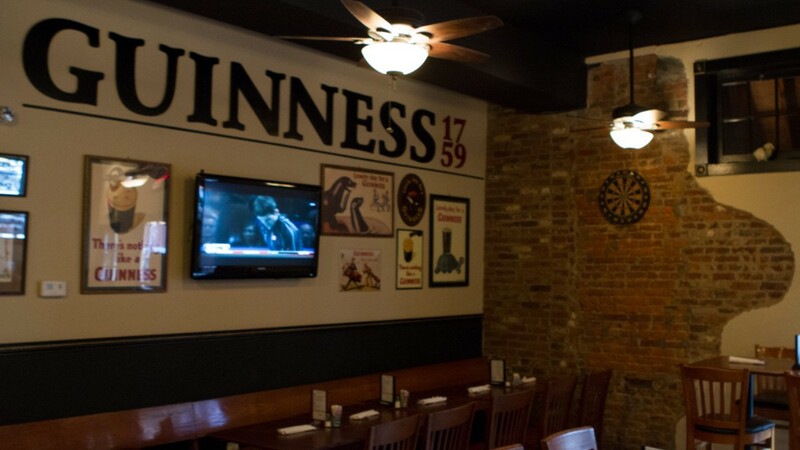 Enjoy St. James Gate Pub - "The Gate"
Magoo’s is an authentic Irish Pub & Eatery in Historic Frederick, MD. 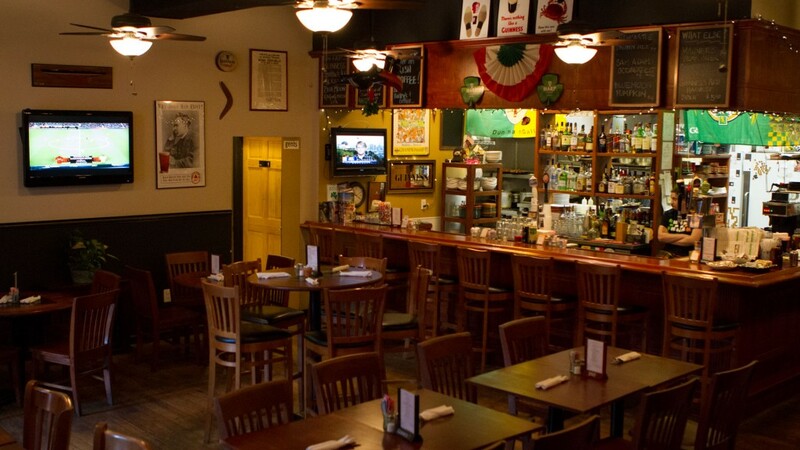 Our warm atmosphere, fine food and friendy service will “warm your heart and lift your spirits!” From traditional Irish-American favorites to our appealing “Skinny Leprechaun” menu, you will find something to love. 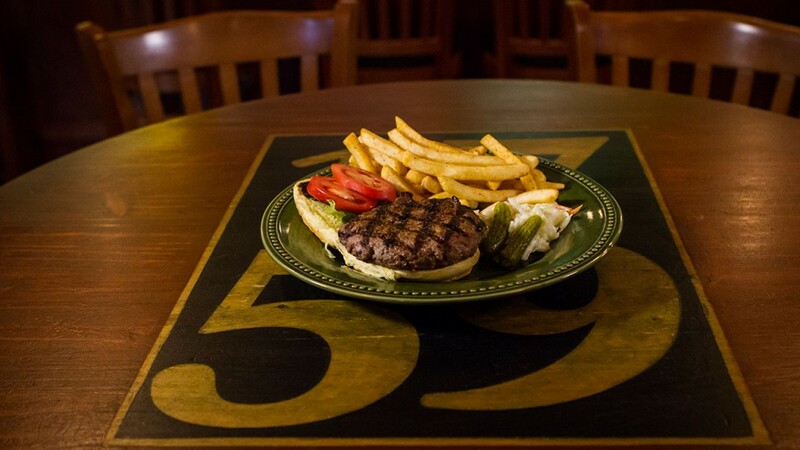 Magoo’s menu favorites include Maeve’s Chicken Pot Pie, Grilled Salmon, Steak Frites, to outstanding burgers and tasty salads. 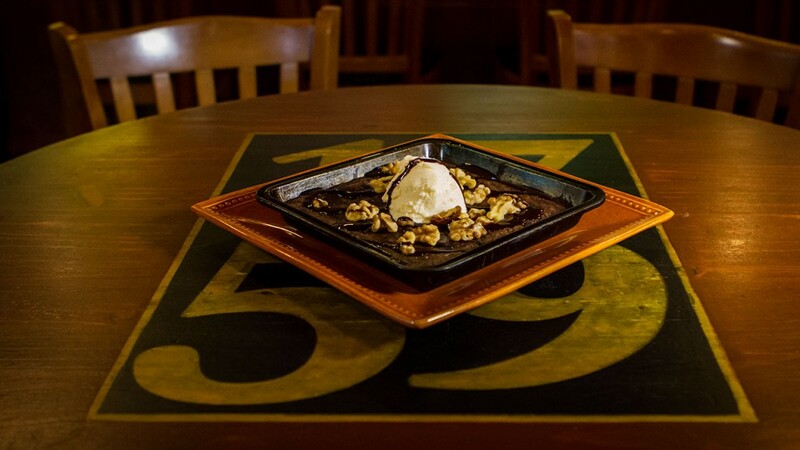 Homemade soups and luscious desserts will make you a regular. 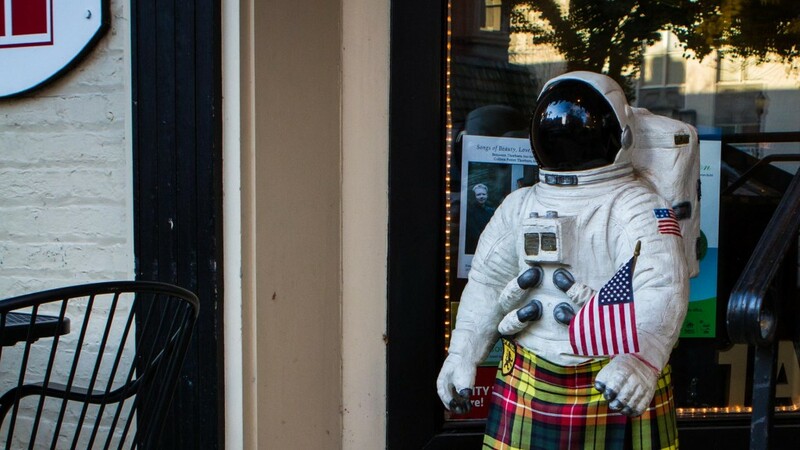 Our experienced team knows Frederick and will make you feel right at home. 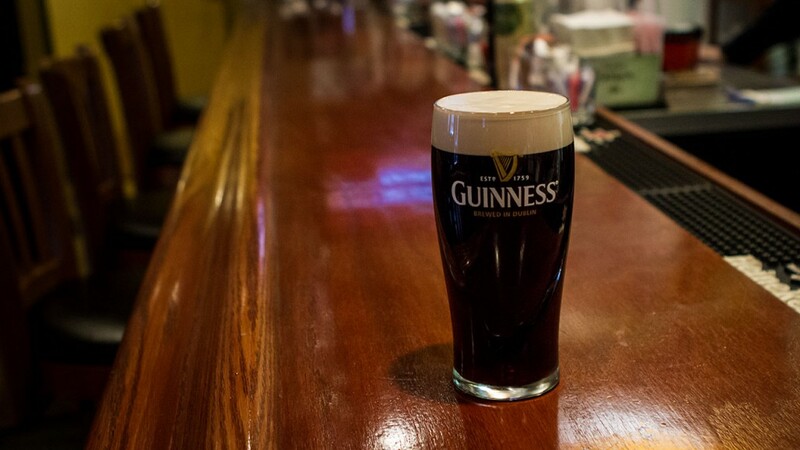 Stop by for a pint and some Irish craic! Serving light breakfast starting at 8am, lunch and dinner daily PLUS Brunch an Saturdays and Sundays! What’s a Skinny Leprechaun ? 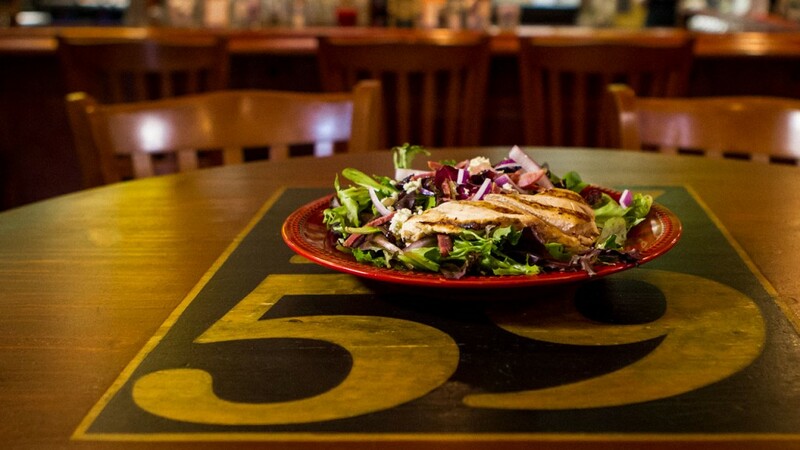 It’s what you are looking for – good food, made with your health in mind. We pick these low-fat. Low-calorie recipes so you can eat out without the guilt! it’s easier than finding a Pot of Gold! Cayenne-seasoned shrimp sautéed in butter with spicy remoulade. with cream cheese, red onion, and capers with French bread. Spinach, feta, onion, and garlic fried in wontons. Served with soy sesame. Breaded chicken breast bites with BBQ or ranch. Old Bay fries with melted cheddar and Applewood smoked bacon topped with BBQ and ranch. Old Bay fries topped with Maryland Crab Dip, melted cheddar with BBQ and ranch. Old Bay fries topped with melted cheddar and bleu cheese, Irish bacon, red onion, BBQ, and ranch. Sundried tomatoes, spring onions, mushrooms, sweet corn, fresh tomatoes, and jalapenos. Cajun-seasoned chicken breast, spring onion, tomatoes and jalapenos. Bleu cheese, mozzarella, red onion, Irish bacon, sundried tomatoes, and grilled chicken breast. Our white pizza topped with lump crab and Old Bay seasoning. Grilled chicken breast, Irish bacon, red onion, sundried tomatoes, mozzarella, & bleu cheese. Cajun-seasoned chicken breast, tomatoes, sundried tomatoes, red onion, marinara, and mozzarella. Fresh greens, tomatoes, mushrooms, spring onions, a touch of garlic, and canola oil topped with mozzarella and parmesan. Marinara, mozzarella and a sprinkle of parmesan. Half marinara and half garlic butter topped with mozzarella on a gluten-free cauliflower crust. Our Skinny Leprechaun Pizza on a gluten-free cauliflower crust. Bacon, lettuce and tomato salad topped with goat’s cheese. Grilled duck breast over greens with walnuts, bleu cheese, and red onions. Noun. An item of food consisting of two pieces of bread with meat, cheese, or other filling between them, eaten as a light meal. Grilled salmon filet on a soft roll with lettuce, tomato, mayo, red onion, and cucumber. Beer-battered cod on rye with cole slaw, tomato, and red onion. Served on french bread with provolone, spring onions, & BBQ sauce. Lump crab with Old Bay seasoning on a soft roll with lettuce, tomato, and mayonaise. Melted brie, spring onion, sauteed tomatoes, and mushrooms on multi-grain. Grilled turkey, sauteed tomatoes, Guinness onions, and provolone on toasted rye. Lean corned beef, cole slaw, 1000 island, and melted provolone on toasted rye. Grilled turkey, sliced apples, and melted brie on toasted multigrain. Melted cheddar, sliced apple, and applewood smoked bacon on multigrain. Grilled tomato, Guinness onions, and provolone on rye. With sauteed mushrooms and tomato on multigrain. Grilled chicken breast, applewood smoked bacon, provolone on a soft roll. Grilled chicken breast, applewood smoked bacon, and cheddar topped with a fried egg on a soft roll. Grilled chicken breast topped with Maryland crab dip and cheddar on a soft roll. Grilled chicken breast with Irish bacon, bleu cheese, red onion on multigrain. The Health Department says meets must be cooked to a minimum temperature of 145* - USDA says 160*. With sautéed mushrooms and Swiss. Our signature burger topped with Maryland crab dip and cheddar cheese. A bacon, cheddar burger with onion rings, jalapenos, BBQ, and relish. The DW Burger topped with Irish bacon, bleu cheese and red onions. Grilled lamb burger with sautéed mushrooms and onions. Grilled and served on a soft roll with lettuce, tomato, avocado, red onion, and mayo. Fried egg, Irish bacon, Irish banger, fried tomatoes, fried mushrooms and multigrain toast. Scrambled eggs and multigrain toast. Old Bay fries topped with scrambled eggs, bacon and cheddar. Served with salsa. Scrambled eggs, cheddar and bacon pizza. Poached eggs on lump crab cakes with melted cheddar and Old Bay. Served with bacon, Irish banger and syrup. Two scrambled eggs with melted cheddar, two Irish bangers, bacon on a potato pancake with syrup. with Absolut Peppar and homemade horseradish V-8 mix. with Guinness onions and mushrooms with Jameson brown gravy. with white wine cream sauce. with sautéed veggies and Jameson Brown gravy. cream topped with puff pastry. 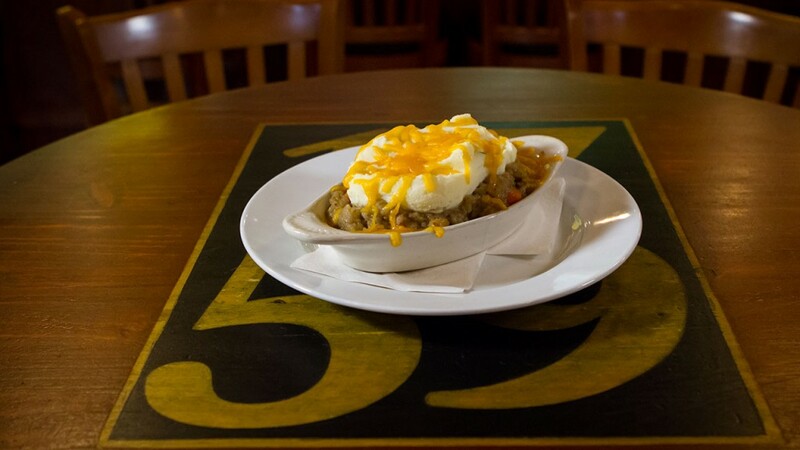 Guinness lamb stew topped with garlic mashed potatoes and cheddar. Beer-battered cod with Old Bay fries, slaw and tartar sauce. Traditional Irish sausages with mashed potatoes and brown gravy. Served with mushy peas. A savory stew of beans, onions, mushrooms, tomatoes and garlic topped with puff pastry. A fried egg, sautéed tomatoes, mushrooms, Irish bacon, banger, and toast. 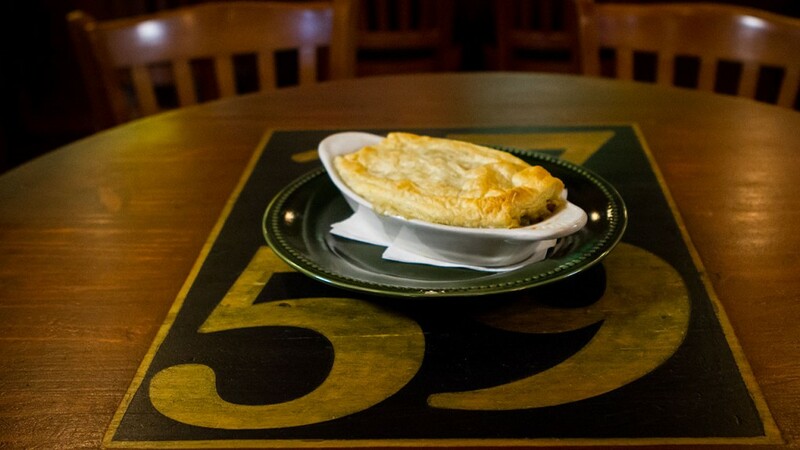 A sampler of chicken pot pie, savory veggie pie, shepherd’s pie and mushy pies. is available on Sunday only from noon to 7 pm (while supply lasts). The Dublin Sunday Roast provides the warmth of your Mother’s or Grandmother’s home cooking in the comfort of your neighborhood pub. Enjoy this new Sunday tradition with friends and enjoy a bottle of house wine for $ 20.